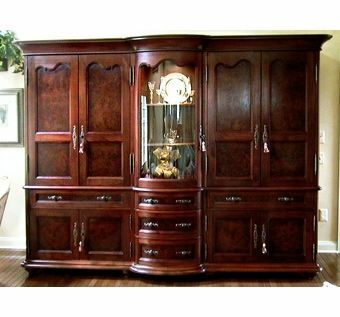 The large armoire is a design created for an interior designer in Princeton, NJ. It was made in the late 1990's for use in the client's living room and houses a 37" TV in the left hand side behind retracting doors. The central section has a curved glass door for display. The following year I built a similar piece for a bedroom. Clothes rods were installed in the upper left and right cases. 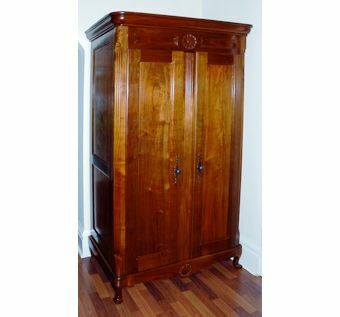 The smaller armoire was built for use in an entry hall for a coat closet. I later built a bed to harmonize with this piece.